Description: -Entire bifid leaf Licuala. 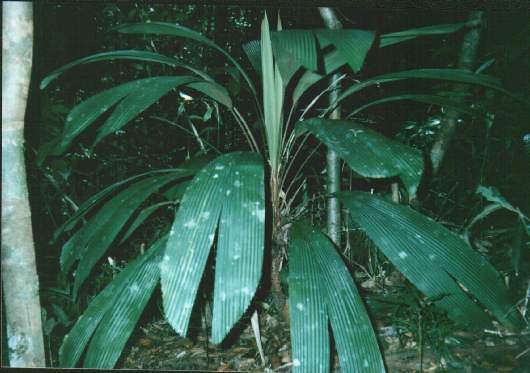 Photograph showing juvenile in habitat this species will clump and will respond to regular watering and fertilizer well through growing season and plenty of mulch to 2m around palm. Growing Climate: -Temperature from 5.C to 35.C.